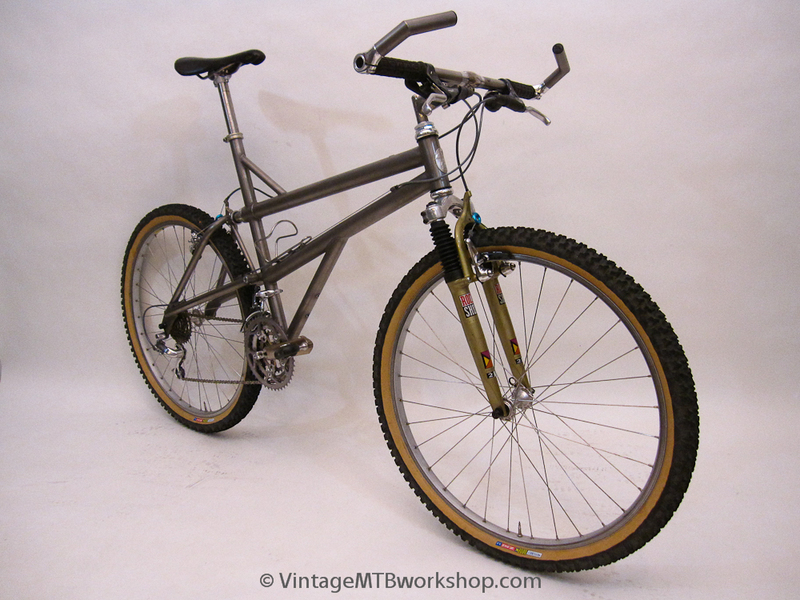 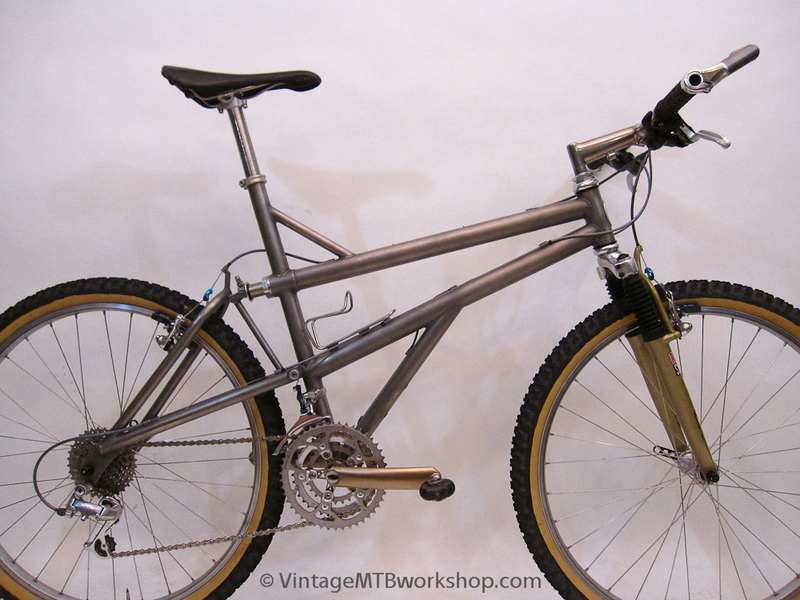 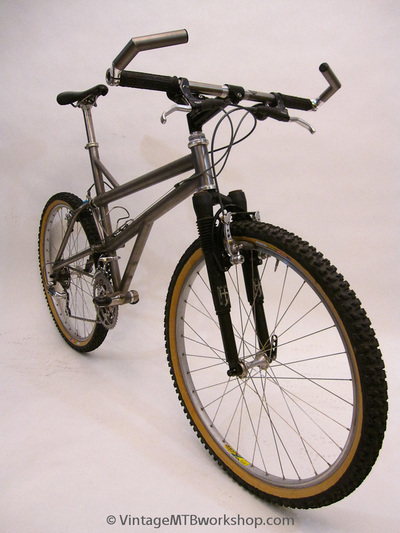 Boulder Bicycles out of Lyons, CO had one of the first successful full suspension designs in the Gazelle mountain bike. 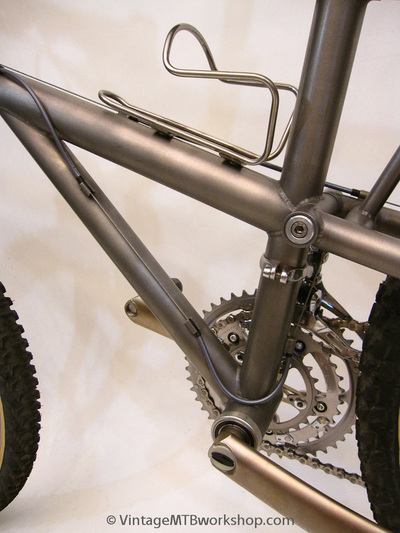 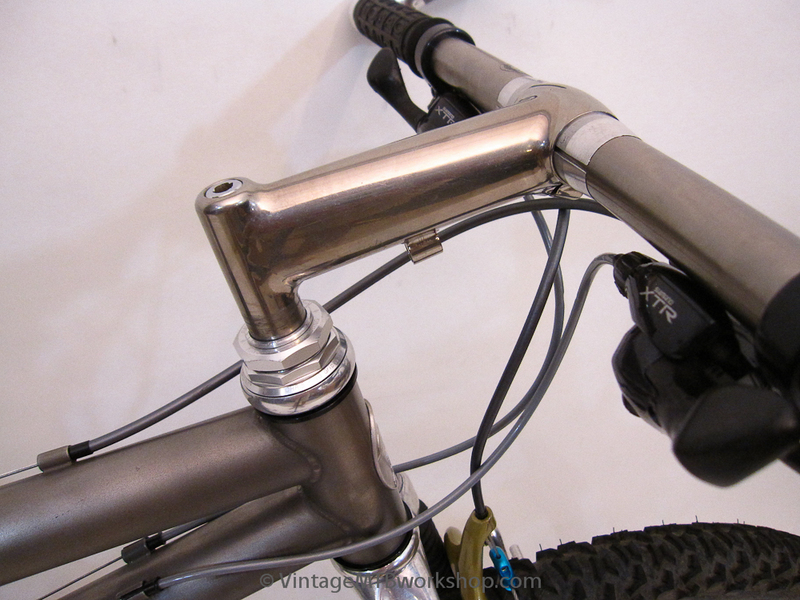 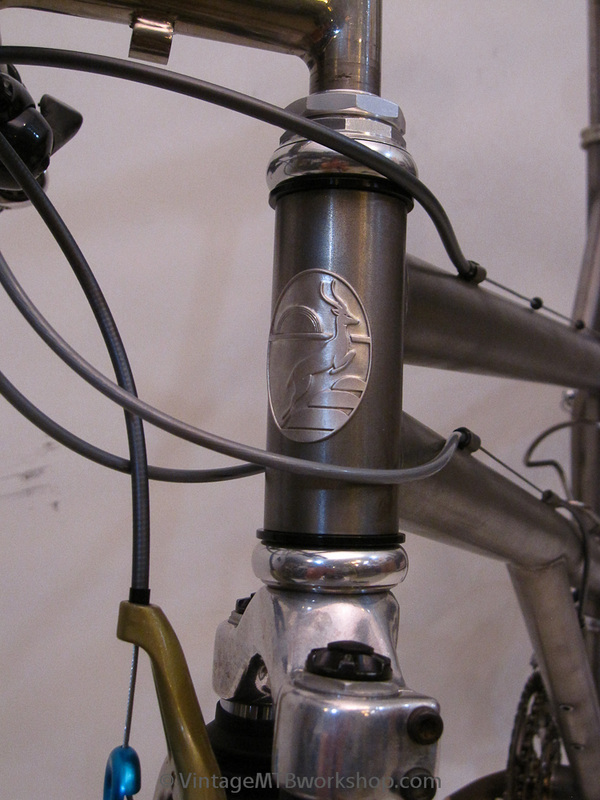 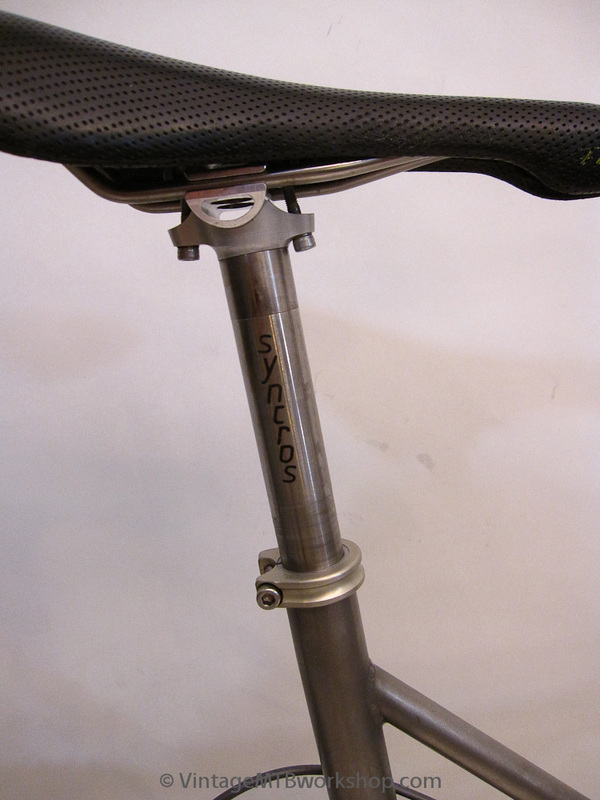 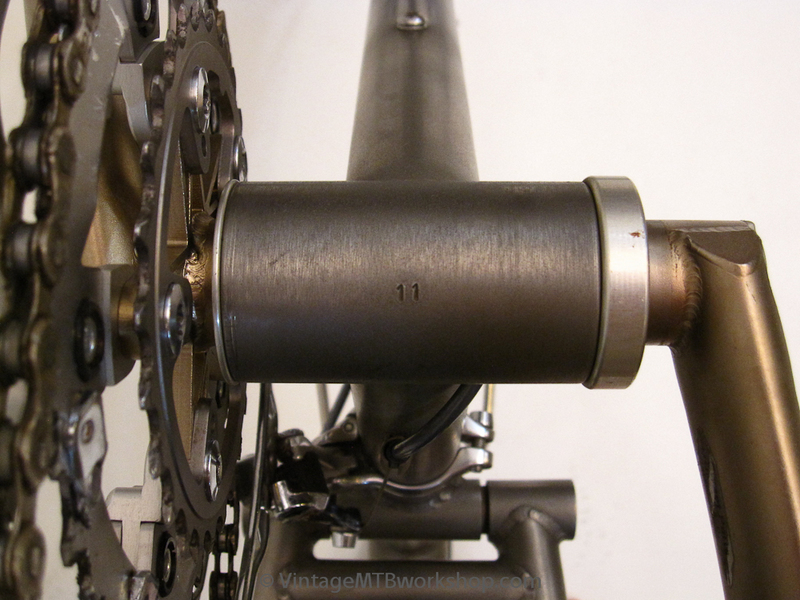 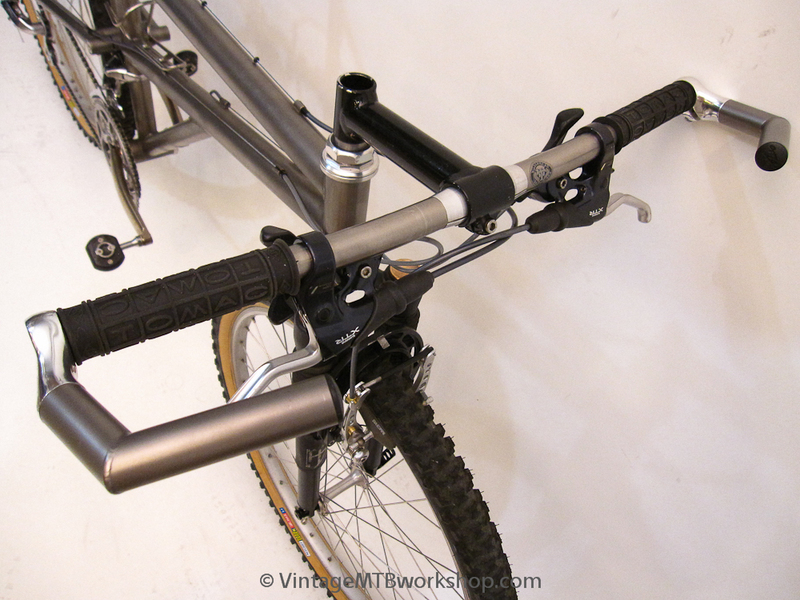 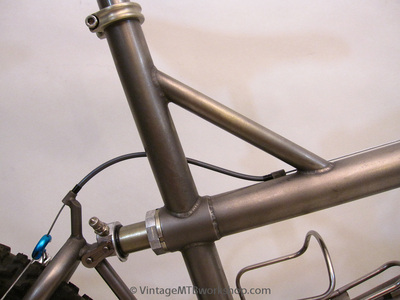 The clean design placed the rear shock inside the end of the toptube. 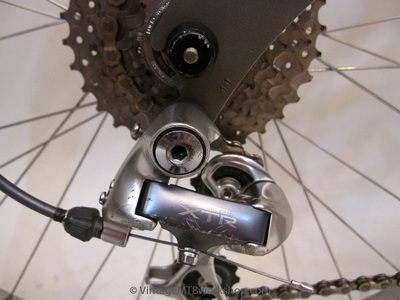 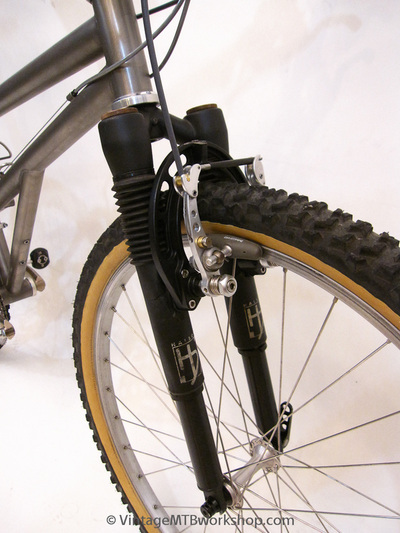 The main pivot was placed very high to intentionally lock-out the suspension while pedaling . 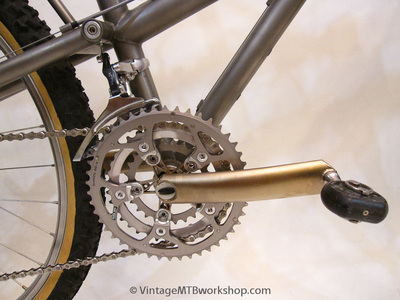 Unfortunately, this also meant that if a bump was hit while pedaling, the required elongation of the chain could be felt at the pedals, with the sensation that the cranks would kick backward. 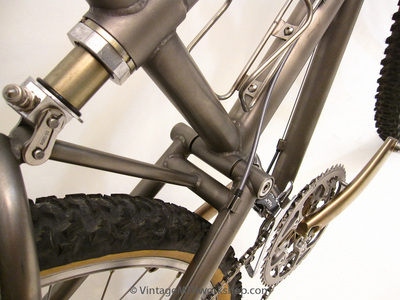 On descents, the oil-damped, coil suspension was very plush for its time. 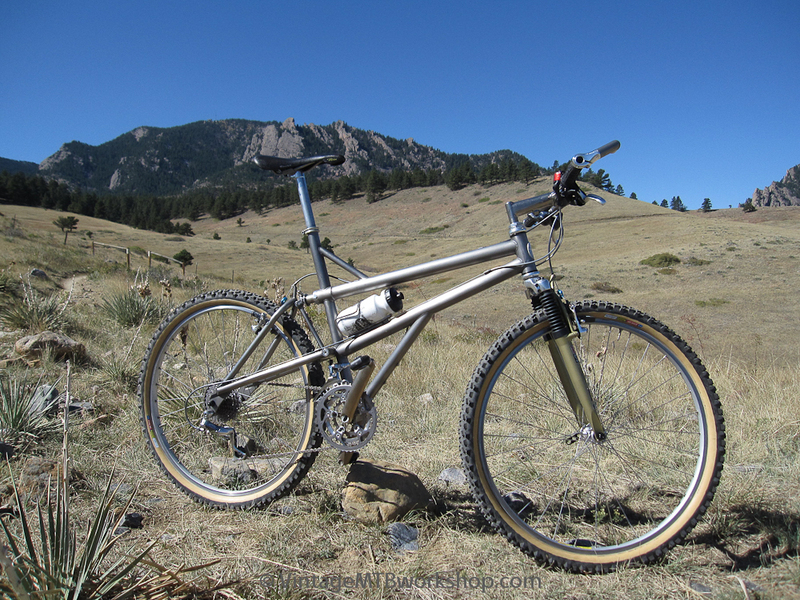 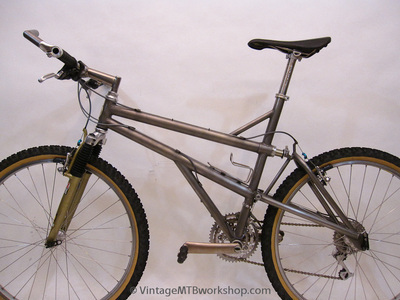 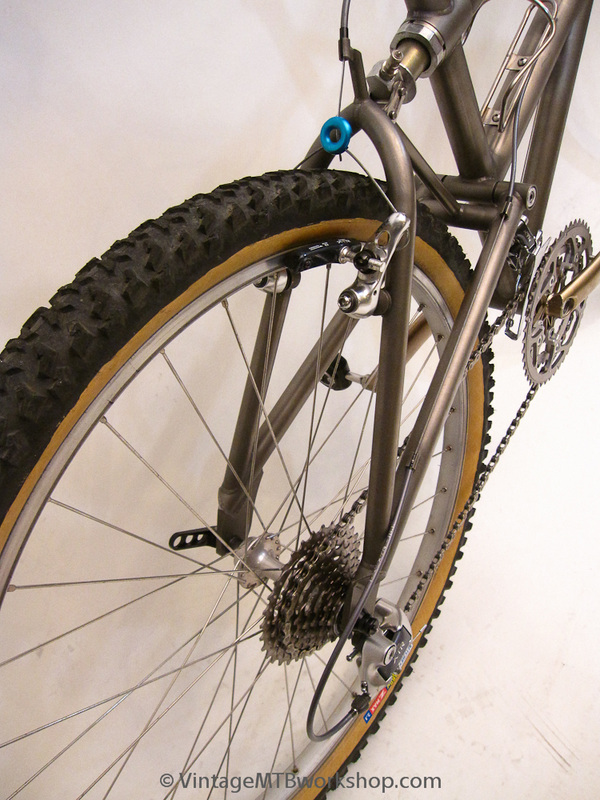 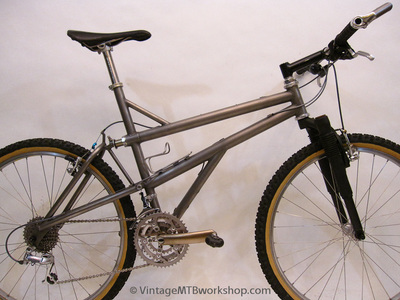 This Boulder Bicycles Intrepid is one of a handful that were made out of titanium. The fancy frame was a good excuse to build the bike with as many fancy titanium parts as possible. The headbadge is sterling silver and was obtained more recently from a local jeweler that cast the originals for Boulder. 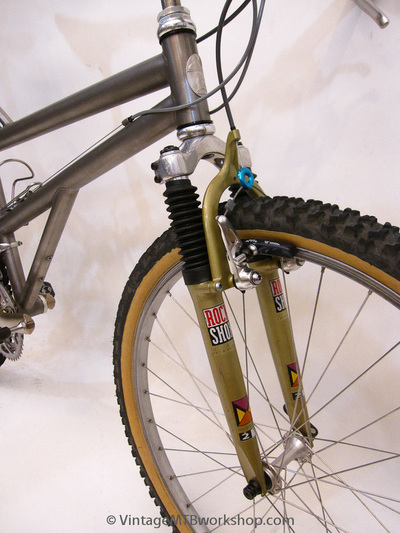 The bike was tested with the venerable Rock Shox Mag 21 as well as the Halson Inversion fork original to the bike.